The quantification of time is one of the more useful innovations of the human race. It can also be quite demoralizing in some instances. It’s great when you want to know exactly when to celebrate something such as a holiday or a birthday. It’s much less great when you sit down and think about how old you are and how much time you probably have left before dying, or how much time you have left before you get off work or are released from prison. You know, happy thoughts. Regardless, the measurement of time, and the frequent need to categorize those measurements into specific increments representing a larger whole, like in the case of decades, leads me to my latest hopeless endeavor. 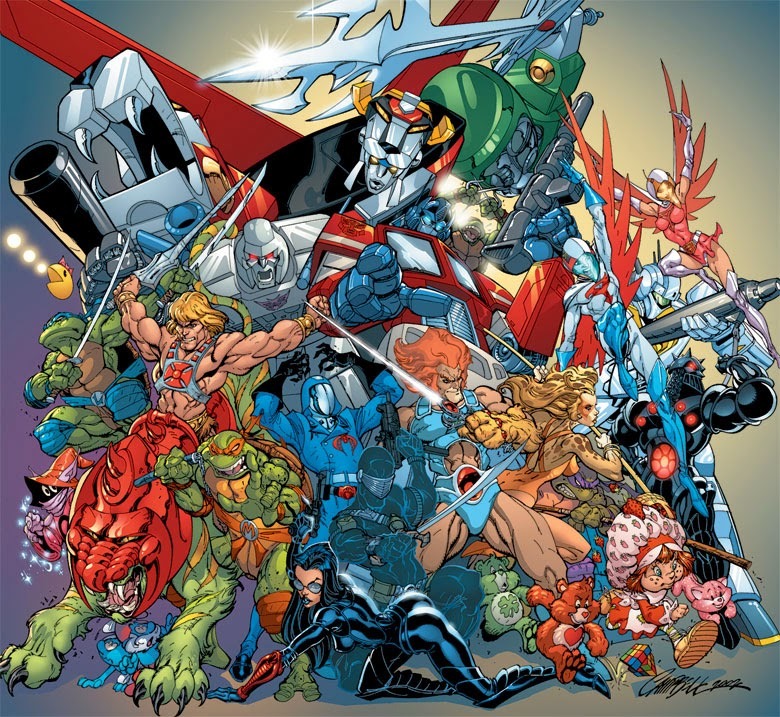 I’m going to pit the top cartoon/comic book properties of that greatest of pop culture decades, the 1980s, against each other, to determine the reigning champion of the decade. I will do this utilizing categories that I will make up as I go along, until an undisputed winner is determined. 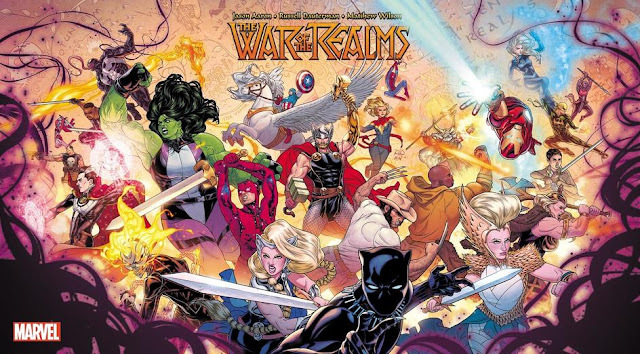 So, if you’re like me, and you are perpetually obsessed with the cartoons and comics you watched in between the years of 1980 and 1989, you’ll want to keep reading. 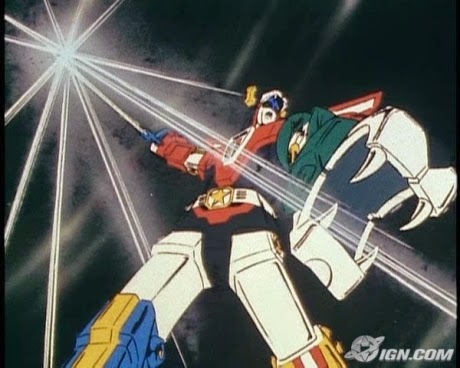 I suppose you could argue for Commander Keith, leader of the Voltron force, but let’s be honest, every kid only watched that cartoon for one reason, and that was to see them form Voltron and swing his sword at some giant monster. Considering Voltron didn’t have a personality on his own, that doesn’t bode well for him in this category. Optimus Prime is one of the greatest leaders ever created in heroic fiction. His death traumatized an entire generation of kids, and also pretty much single-handedly torpedoed what was, at the time, the most successful toy franchise in history. Megatron is one of the great villains of all time, and managed to murder his rival Optimus Prime, which is unheard of in animation. King Zarkon I had to google just to remember his name. Transformers may have its fair share of annoying heroic characters like Spike (Buster in the comics) and Bumblebee, it more than makes up for them with Autobots like the Dinobots, Jazz, Sideswipe, and Blaster (or my personal favorite Tracks). Voltron has a fat guy named Hunk, and an annoying kid character named Pidge. Please. Starscream is one of the most entertaining villains ever devised, and Soundwave represented the pinnacle of toy technology. In the comics, Shockwave was a force to be reckoned with on the level of Megatron. I had to google the Voltron villain names. Voltron is hampered by the re-dubbing of the shows into English, but holds up fairly well as a cartoon. Transformers is one of the best cartoons of all time, with most of the episodes still immensely watchable to this day (no bias at all). 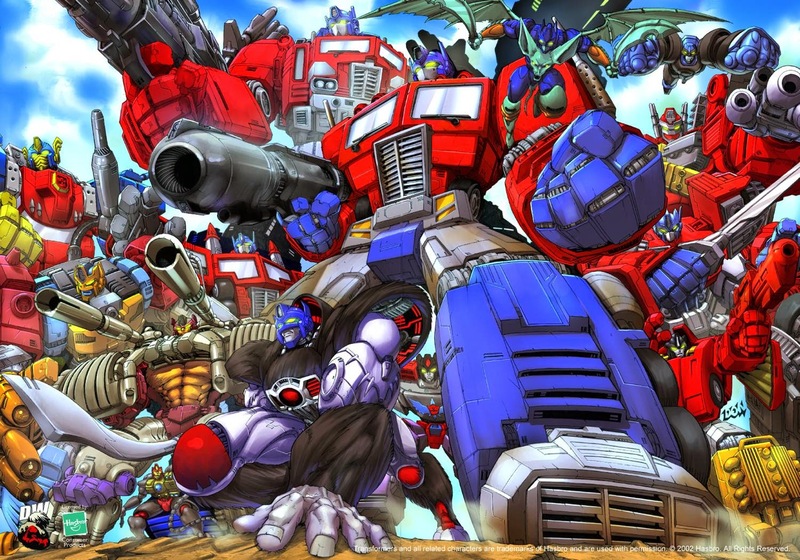 The Transformers comic book established a separate, and much darker universe from the animated series. The violence, and the feelings of isolation as the book focused on specific characters, gave the series a much edgier tone, especially early in the series. I’m pretty sure Voltron probably had a comic, but I’m not going to waste time looking it up because we both know Voltron isn’t winning this matchup. Papa Smurf is like the ultimate stoner cult leader that’s always preaching to be respectful, but also free with your bodies. Uncle Scrooge is rich and will sometimes take you on dangerous adventures to find treasure. Both are pretty great. Its arguable if the Beagle Boys would be considered the primary villains of the Ducktales universe, perhaps a more accurate choice would be poverty itself. The Beagle Boys were always trying to steal Scrooge’s money, so they’re close enough, and there never-ending cast of family members always provided something new and entertaining. Yet, Gargamel is a creepy old wizard that lives in the woods with his pet cat, and is always trying to capture the Smurfs so he can eat them. Smurfette certainly raised quite a few questions among the children of my school about reproduction, and the merits of monogamy, and she was a blonde. While its impressive that a Smurf was so inactive as to be named Lazy Smurf, Brainy Smurf really needed a punch in the face. (Don’t even get me started on those punks Johann and Peewit.) Meanwhile, Launchpad McQuack was as endearing as he was incompetent, and Huey, Dewey, and Louie managed the rare feat of being child characters that weren’t completely annoying. 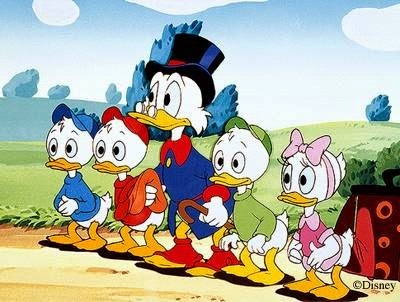 Characters like Gyro and the super dry Duckworth helped offset the walking wet-blankets that were Webby and Mrs Beakley. Ducktales is probably the most consistently well-done and entertaining cartoon of the entire decade (up until the later seasons where they inexplicably added a caveduck and an Iron Man ripoff, and even then those episodes weren’t that bad). The Smurfs is completely unbearable for anyone over the age of four. Ducktales is one of the hardest theme songs to remove from your head once it’s wormed its way in. “Life is like a hurricane . . . here . . .in . . . Duck . . .burg.” Its stuck in your head now isn’t it? Ducktales is based largely on the work of Carl Barks, one of the true geniuses of the comic book field, and a legendary storyteller. Many episodes are adapted directly from his comics. Most people might not realize that the Smurfs began in the pages of Belgian comics as far back as 1959. I’m also going to assume that most people would never want to read them. That does it for the first half of the first round. These matchups ended up being a little bit more lopsided than I had anticipated, but The Smurfs kind of made it in there by default anyway. The next four franchises are much stronger top to bottom, and should provide much more of a challenge to our top contenders. Who might those top contenders be? Find out in part 2!